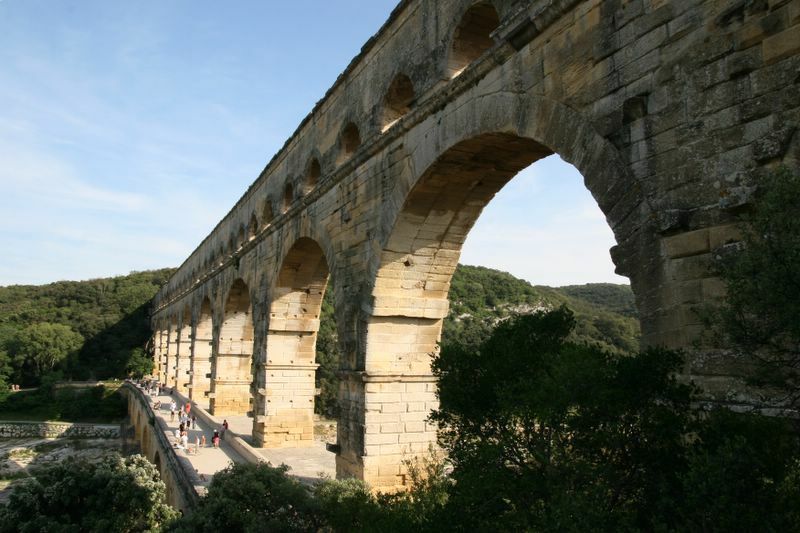 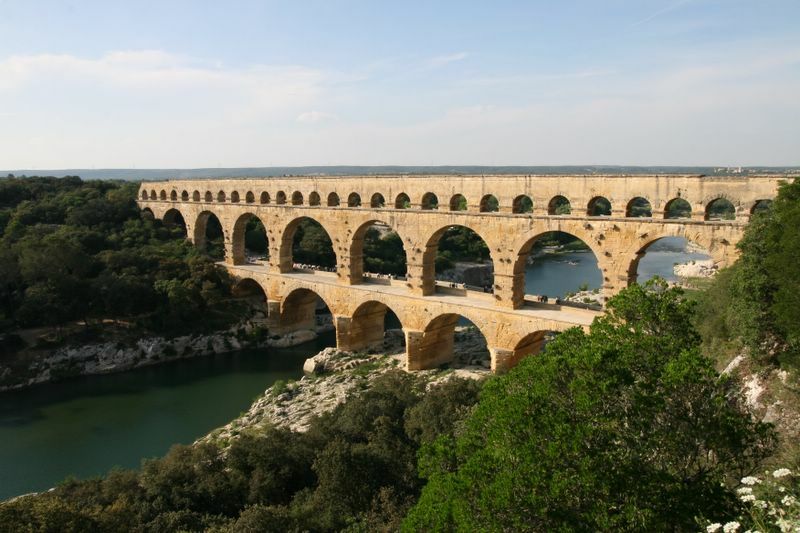 The bridge Pont du Gard formed a part of a roman aqueduct of approximately 50 km, which brought water from a region close of Uzès to the Roman city of Nemausus (Nimes). 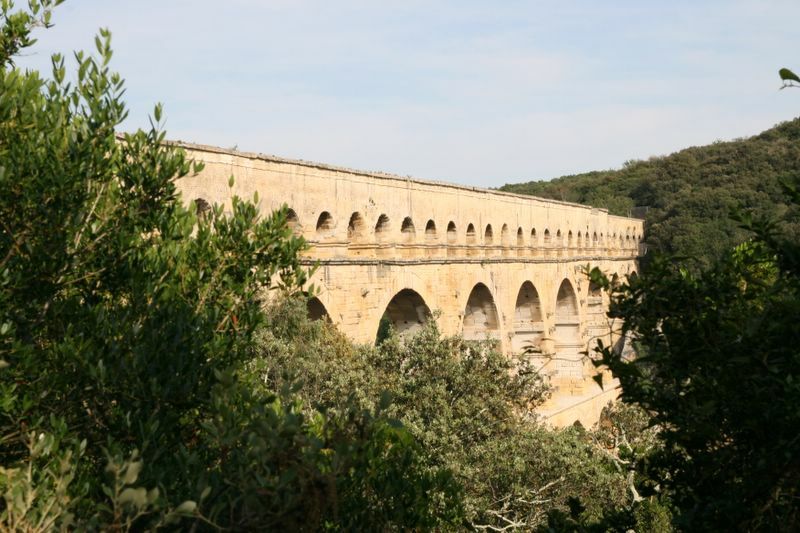 The aqueduct was probably built in the Ist century of our era, between 20 and 50. 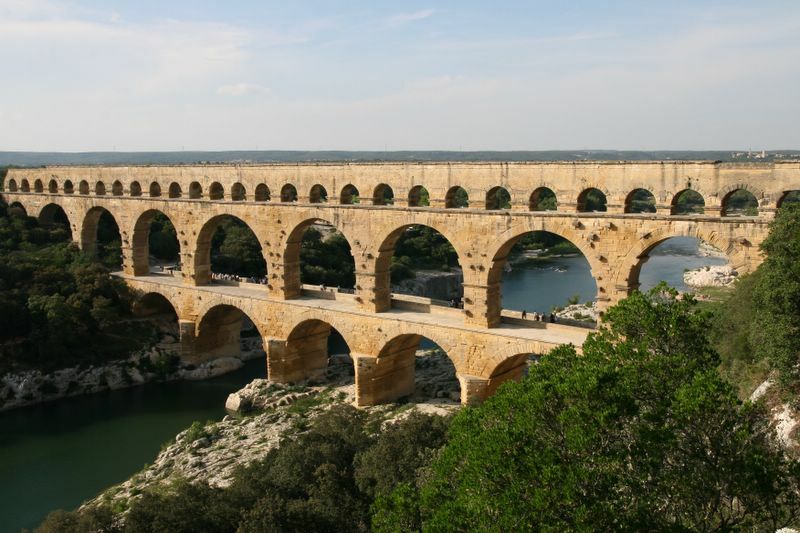 The source was only at 12m above the level of the city, which forced the Romans at an high degree of accuracy so that gravity makes it possible water to run out to Nimes. 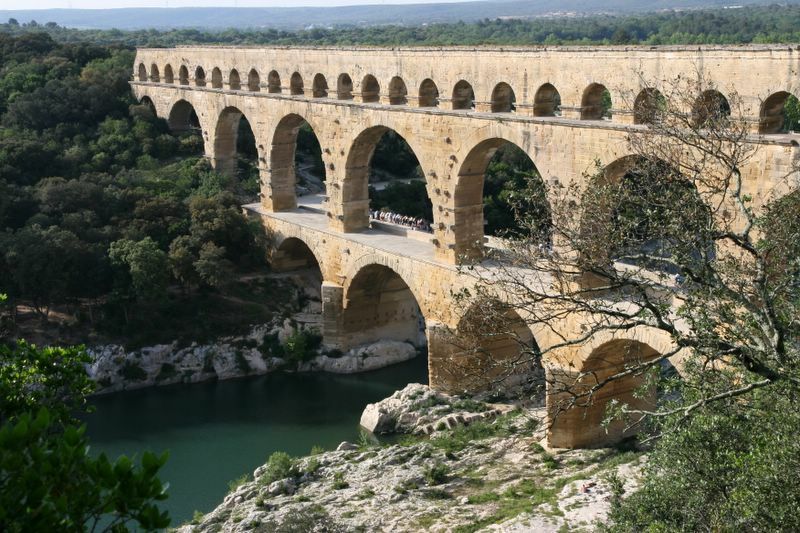 The slope is only 34 cm by kilometer, which is a remarkable technological exploit. 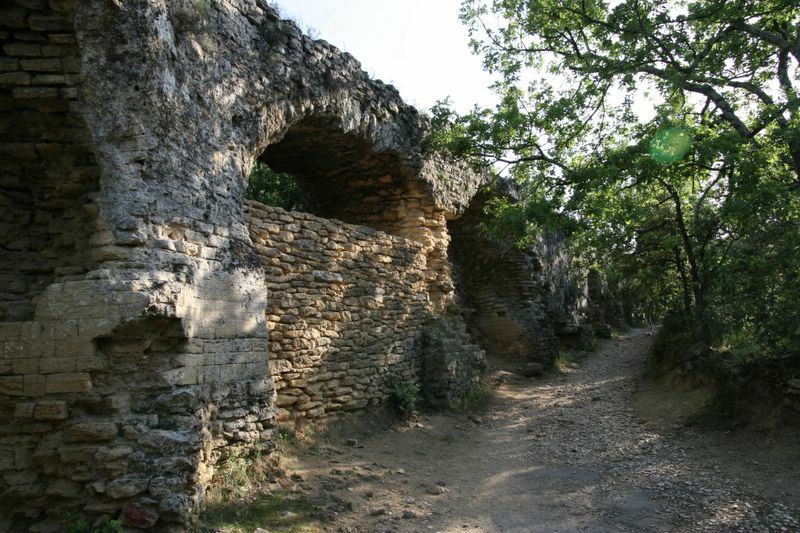 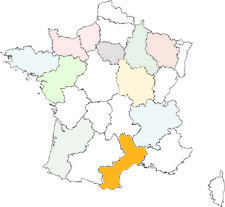 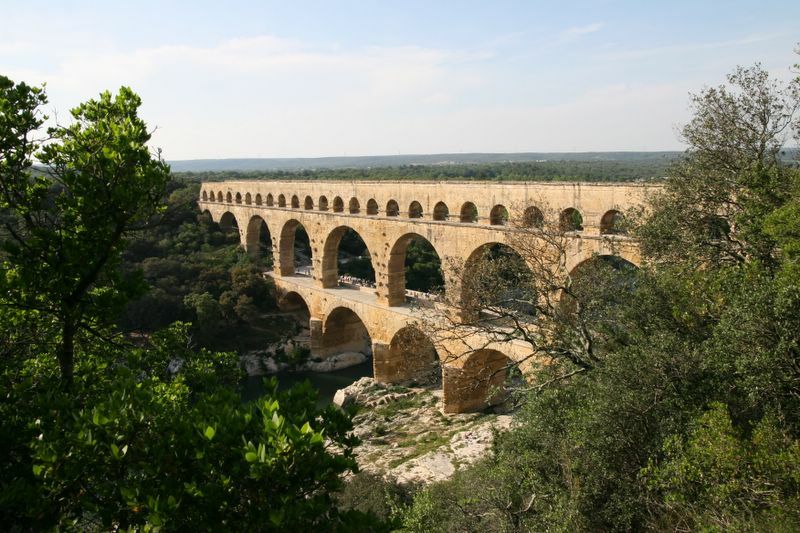 The way of the aqueduct is sinuous to use the relief best (Uzès is only at 20 km far from Nimes for a bird). 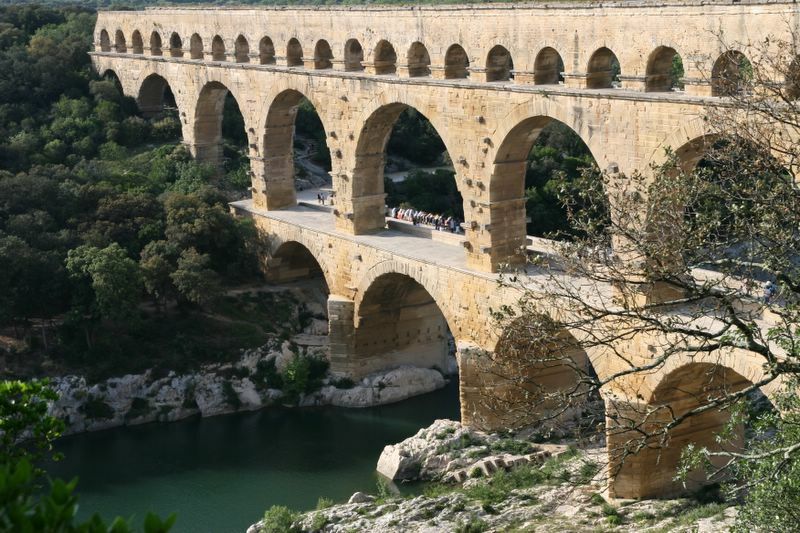 The bridge daily brought 20 000 cubic meters of water, it spent one day whole to go until Castellum which made it possible to distribute water, still visible in the street of Lampèze in Nimes. 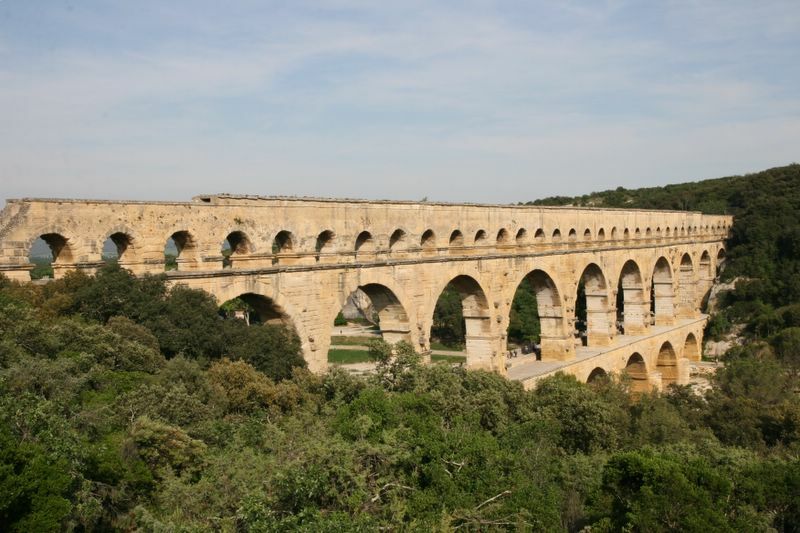 Nemausus counted several wells, and a close source: the construction of the aqueduct was thus not vital but allowed the supply of the thermal baths, baths and other fountains of the city.